Thinking about switching to a new racquet? Then this How To is right for you. The technology is constantly improving, therefore the rackets are getting better and better. Also if your racket is few years old it might have lost its elasticity and power. When you are trying a racquet make sure you do not completely rely on demo, since most likely it will come with some cheap string that might be strung at the wrong tension. You might want to restring demo racquet with your own string, which might get to expensive. My advice is not to change specifications to much (stiffness, weight, swing-weight, string pattern, etc). The following few points will describe what each specification actually means. area of the racquet, the bigger head size indicates larger sweet spot. is the distance from the cap of the handle to the top of the head. Longer rackets are better for volley reach and serve, while standard 27 inch provides more maneuverability. is the weight of the racket when strung. Lighter frame is more maneuverable, while heavy is more stable. is a guage how heavy the racquet feels when you swing it. If you are looking for a racquet with great maneuverability you need to opt for lighter racket. gives us an idea how stiff the frame is. 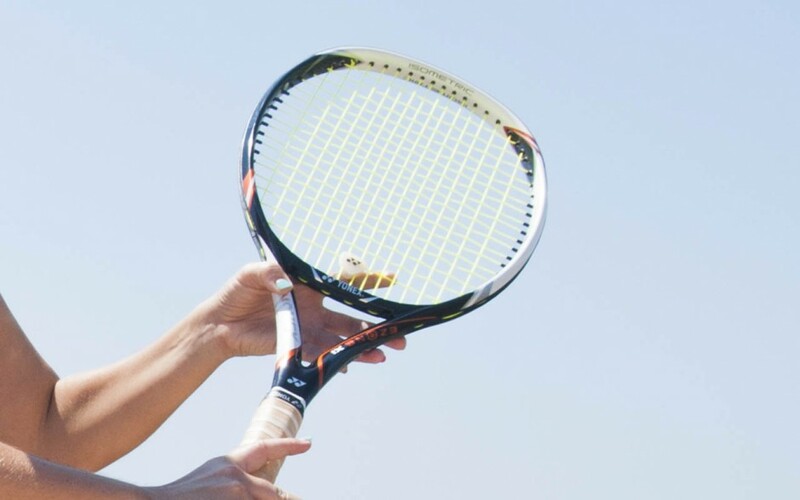 Higher number indicates stiffer racquets, which provides more power but less comfort. If you have arm issues, I suggest a racket with low RA RATING since it will be more comfortable on your arm. gives us idea if frame is HH (head-heavy) or HL (head-light). If the balance location is more than half way up the racquet, it is said to be HH. On the other side if the balance location is less than half way, the racquet is said to be HL. Lets assume the frame is 5pts HL, which indicates that weight is located closer to the grip than the head (we can conclude that it will be easier to maneuver). is the measure of the thickness of a racquet’s sidewalls. lists the number of main strings first and cross strings second. I advice more OPEN-STRING PATTERN, which creates enhanced spin production.